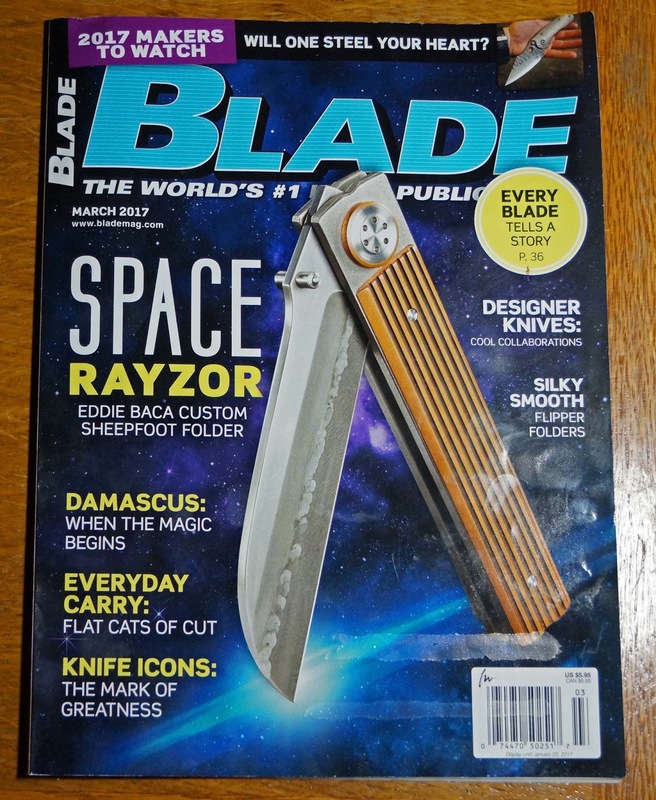 Blade magazine is devoted to the knife enthusiast. They publish an issue monthly but seem to be three months a head of schedule. In December I received the March 2017 issue. 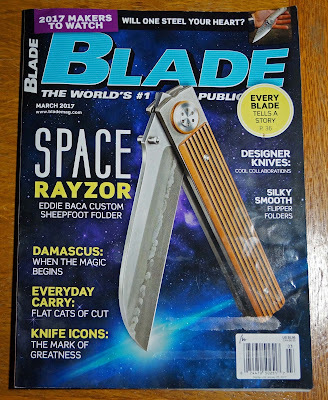 This particular month features a very special knife enthusiast. 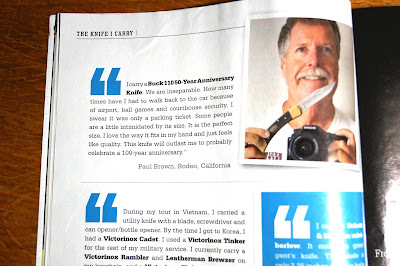 Yes, yours truly is featured in the "The Knife I Carry" section of the magazine. I submitted an image and text to be entered in a contest to win a knife. 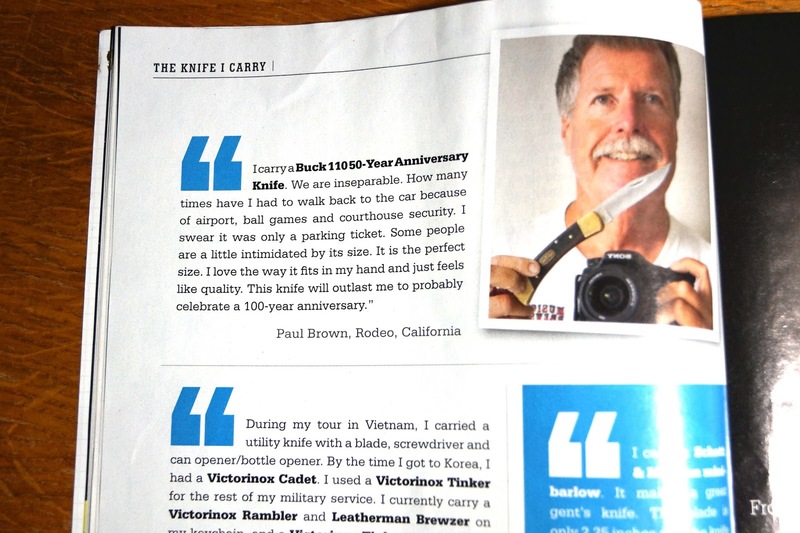 Maybe it was shameless promotion or possibly the need for another knife. (Never ask Ms. Goofy if I need a new knife or bbq.) Needless to say I am tickled pink to be included in Blade magazine. greatwhite hunter, We here at the Mad Meat Genius lab would like to wish you a Happy New Year. May your steaks be aged, your polenta creamy, and Meat Adventures a plenty. A Not famous Chilebrown out.